I hate the political season. The long journey that occurs every four years when we Americans decide who will get the front door key to that big house on Pennsylvania Avenue. I hate it because we never hear much substance from the two people seeking those house keys, instead all we get are sound bites, little snippets that morph into some sort of twisted slogan; single sentences that are used as rally cries from their supporters. The first Presidential election I can remember was the one that elected Jimmy Carter. Now, the former peanut farmer from Georgia didn’t have a memorable Presidency, but did go on to become a great man who has done great things. Today however the world is a different place. The outlets we have to express our views start with our smart phones. Back in the Carter-Reagan-Clinton-Bush days, if you wanted to publically express your view on a certain candidate you had to write a letter to the editor of a newspaper and hope it got published. Today though all one need do is post a comment, Tweet 140 characters, or take to Facebook. These outlets were once calm places where we could tell jokes, share pictures of our life, or a humorous video of a cat doing something stupid. Now though, these same outlets are used by people to express their opinions of their respective candidate; candidates who by the way seem less suited than ever before in our history to actually hold the keys to that house. Because of these polarizing figures we have now two distinct groups of people shouting at the top of their electronic lungs about how terrible the other candidate is. Lies about each of the two Presidential candidates are flying around like a flock of seagulls at a garbage dump. Each side is yelling so loudly that neither can actually hear what the other is saying, not that either side cares to actually hear what the other is screaming. Meanwhile the few sane people among us are simply trying to hide until this is all over. That’s because the truth is that no matter who gets the keys to that house on Pennsylvania Avenue, at the end of the day, the President of the United States can’t really do much. Sure they can sit the mood of the country, hold State dinners for visiting dignitaries and stage Easter Egg Rolls for kiddies once a year on the lawn, but an American President really doesn’t have all that much power. Despite this we yell, and scream, and each side predicts gloom and doom should their opponent be elected. The rest of the world must think we are absolutely mad. I thought about this all week, a week when the first Presidential convention was being held. 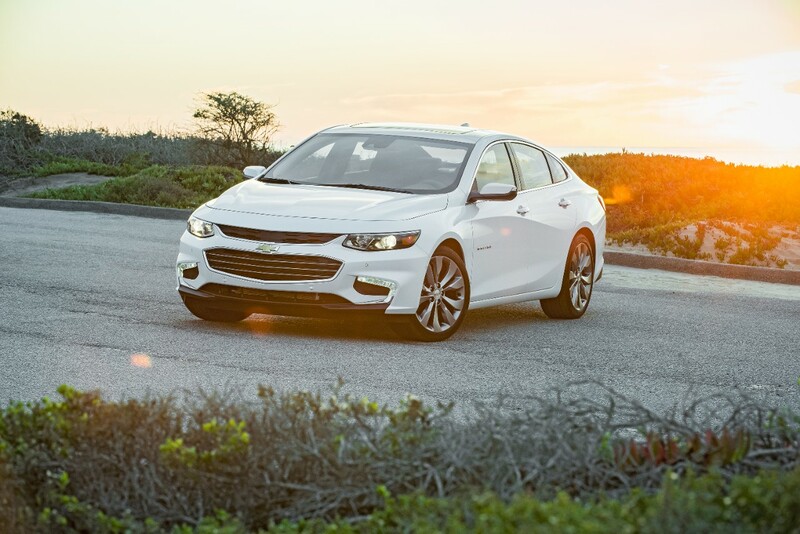 It was a week spent tooling around in the 2016 Chevy Malibu Hybrid. It was, for me at least, a great escape. First introduced in 1964 and reborn in 1997 after a 14 year absence, the midsize sedan is an example of a very good American thing. I like to think that it was the Chevy that Don McLean drove the levy, even if though levy was dry. 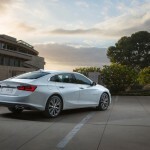 The ninth generation of the Malibu was introduced for 2016 and for the first time is offered with a full hybrid version, which is what I had for a week. 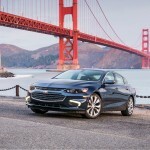 The 2016 Chevrolet Malibu midsize sedan has four main trim levels: L, LS, LT and Premier. The LT version can be further broken down into the 1LT or 2LT variants (the main difference being a larger engine in the 2LT). The base, L, comes with power accessories, including cruise control and AC, along with keyless entry and ignition, OnStar and Bluetooth. The LS adds alloy wheels (16-inch), mobile WiFi, rearview camera, automatic headlights, Bluetooth streaming audio and the MyLink infotainment system with a 7-inch touchscreen. The 1LT has 17-inch wheels, eight-way power driver seat with power lumbar, rear climate vents and satellite radio, LED daytime running lights and heated mirrors. The 2LT has all that plus 18-inch wheels and the larger 2.0-liter engine. The top of the line Premier has 19-inch wheels, remote ignition, the color driver information system, leather upholstery, heated and ventilated seats in the front, a passenger seat that has a six-way power passenger seat with power lumbar, an upgraded 8-inch touchscreen, a navigation system and a nine-speaker Bose audio system and dual-zone automatic climate control. There’s also wireless smartphone charging, and 120-volt power outlet along with two additional USB ports used for charging. You can add some of the higher end options on lower trims, and on some, you can add a sunroof as well as some of the safety packages that include forward collision alert, rear cross traffic alert, blind spot monitoring and automatic parking assist. 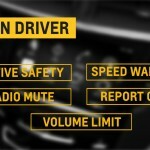 Also available is the new Teen Driver option which gives parents the opportunity to see their kids’ driving habits, and do such parental things as mute the audio system if seatbelts aren’t being worn, and give visual and audible warnings if the little ruffians are going too fast. Under the hood the standard engine is a new for 2016 Ecotec 1.5L turbo charged powerplant delivering 160 horsepower and 184 lb-ft of torque through a six-speed automatic transmission. The 1.5L replaces the 2.5L naturally aspirated engine. For the 2LT or as an option in some variants a 2.0L turbocharged engine with 250 horsepower and 258 lb-ft of torque connected to an eight speed automatic. My tester for the week though was the new for 2016 Hybrid. 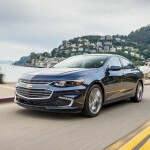 The new hybrid shares most of its get up and go with the Volt, the biggest difference being that unlike the Volt, the Malibu hybrid cannot be plugged in. The Malibu hybrid is designed to stretch out its mileage using the combination of electric power and conventional gasoline power, more like a Prius. 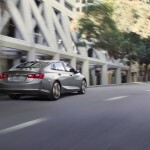 What you end up with are fuel mileage numbers of 47 city and 46 highway which bests those of the hybrid versions of the Toyota Camry, Hyundai Sonata and Ford Fusion. 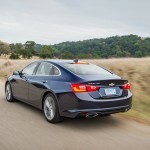 Like the others, the Malibu hybrid gives up nothing on the road, and the switch from electric to gas is seamless and power is delivered through a CVT type transmission. 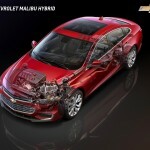 The Malibu hybrid does get the same two electric motors, transmission, and regenerative-braking system of the Volt. Unlike the Volt, there is no Electric mode, or any other drive mode for that matter and the 122-hp 1.8-liter four-cylinder engine is a bit larger than the Volt. The Malibu’s 1.5-kWh battery packs in the trunk don’t take up too much space, while the Volt has a bulky 18.4-kWh pack running up the middle that does seem to compromise a little of interior and truck space. 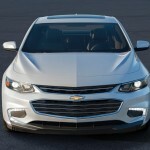 The 2016 Malibu got a bit sleeker on the outside, borrowing some design cues from its larger Impala cousin and for the hybrid, there are a few exterior changes, a little lower ride height and a few added shutters for the radiator, but other than that the only way to really tell this Malibu is a hybrid is by the “H” badge. And that’s just fine by me. Because the new Malibu is a very good looking car. That carries over to the new interior as well. 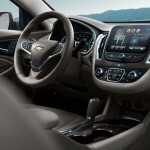 The new interior is larger than the previous model, thanks in part to a four-inch stretch in the wheelbase, while staying the same width, and by the way, the Malibu shed 300 pounds. The cabin is very well designed with a new dashboard that’s easy to read. The tach and speedometer have separate areas with a driver information screen sandwiched between. The center stack is all new with easy to read and use climate controls and the way the touchscreen is sit atop the center stack makes it easy to use and see. The options on my tester for the week included the Driver Confidence package with rear cross traffic alerts, automatic braking at low speeds, lane assist, and pedestrian alert. 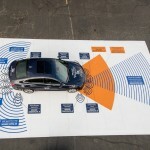 The tester also had the larger screen, 8-inch as opposed to the 7-inch, and the Convenience and Technology package that included the Teen driver controls, and remote start. The biggest surprise over the course of the week was how little the gas gauge moved. After a few days of driving the needle didn’t move and I thought perhaps it was broke. It did eventually move, and for the week overall I got nearly 49 mpg driving in mixed conditions. Very impressive. 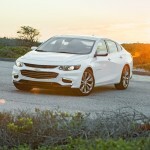 Even more impressive was the overall week with the Malibu hybrid. 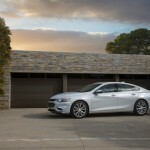 I really like the Malibu and am a fan of the new hybrid. 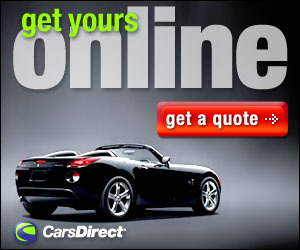 It’s affordable, drives like a conventional car with a CVT and looks great while doing so. The hybrid also has the added attraction of saving money at the pump, and that’s never a bad thing. The week I had with the Chevy Malibu, during a week when the shouts of both sides of the political races were shouting and fussing, made me realize that no matter how bad things may seem right now, there is a lot that we Americans do well, maybe not electing a President. 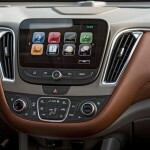 But we can make great cars, and Chevrolet and its new Malibu is a perfect example of that. Just don’t ask me how I’m going to vote this year; I’m not sure America is ready for a White President. Base Curb Weight: 3457 lbs. Front Hip Room: 54.1 In. Front Shoulder Room: 58.5 In. Rear Leg Room: 38.1 In. Hybrid Component: 8 Yr./ 100000 Mi. All specs can be found here.